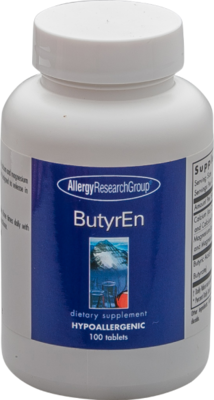 ButyrEn delivers butyric acid in the form of calcium and magnesium salt in an enteric coating. This coating allows the ingredients to be released in the small intestine so that they're more effective. 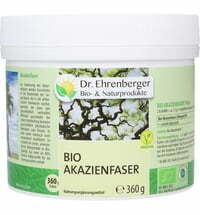 These short-chained fatty acids are formed in the body through probiotic bacteria. 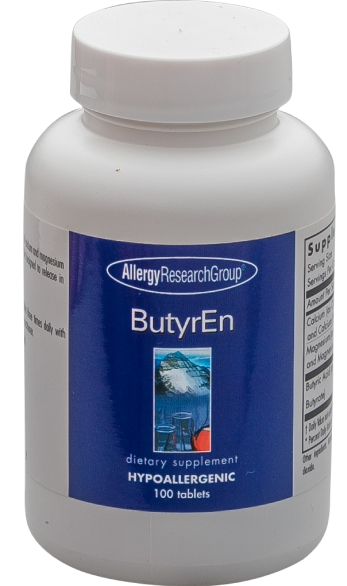 take 1 or 2 tablets three times a day with meals - up to 12 tablets per day.